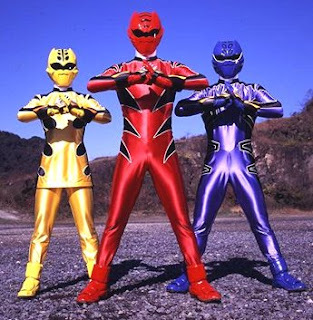 OK, I know Power Rangers seems to be an odd subject, but composer James Guymon and myself just found out yesterday that the the cue that we worked on together for Power Rangers Jungle Fury was used on the show. You can hear the cue from about 3:00 to about 4:30 in the YouTube video. Recently I also added guitar to a piece that he wrote that will be used by a major automotive manufacturer in demos for a new car that is coming out. James is a great composer and I've really enjoyed the collaborations so far.